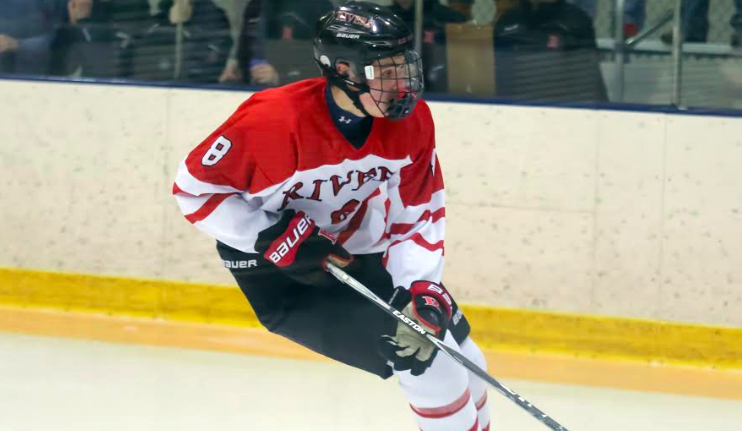 New York Hockey Journal profiles the NY-NJ-Conn participants in the Sept. 19 All American Prospects Game (AAPG), including three 2019 recruits: defenseman Case McCarthy and forwards Robert Mastrosimone and Trevor Zegras. New England Hockey Journal’s Prospects Pulse looks at 2019 recruit and Lawrence Academy senior defenseman Braden Doyle. The article notes that the Lynnfield, Massachusetts native “has proven time and time again that he can start the offense from the back end. His ability to sidestep oncoming forecheckers, rush the puck up ice and give quality lead passes on the breakout are staples of his game.” He’ll also skate in the AAPG. Squad rosters have been announced for the AAPG. Zegras, McCarthy and defenseman Alex Vlasic will skate for Team Langenbrunner, while Mastrosimone, Doyle and defenseman Cade Webber (photo) will play for Team Leopold. Boston Jr Eagles win 18U Elite Division at @Tier1faceoff with 4-1 win in finals. Pittsburgh pick Liam Gorman (BU) with 2 goals. Liam Devlin and Tommy Lyons (Brown) also scored. Brian Carrabes (BU) has the lone goal for GBL Bruins. 2019 recruit Liam Gorman, who participated in Penguins development camp, returns to St. Sebastian’s for his senior year. 2022 recruit Brian Carrabes, who had a team-best 34 points for St. John’s Prep as a sophomore, will play prep this year at Kimball Union. 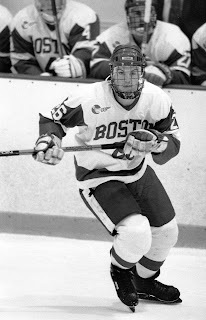 Newly named Bentley assistant coach Jon Coleman skated for four Frozen Four teams, was a member of the 1995 national championship squad and earned first-team All-American honors in 1996-97. High profile vasant kunj escorts are available from Delhi incall Agency. Sexiest escorts in Mahipalpur incalls / outcalls which are available throughout the city, Call to book High profile vasant vihar escorts.